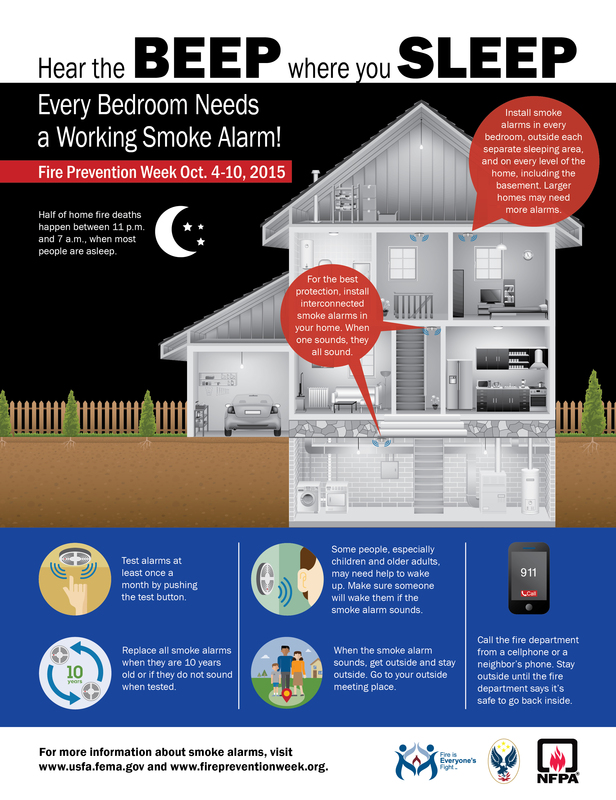 Welcome to Fire Prevention Week 2015! Along with firefighters and safety advocates nationwide, the Oradell Fire Department is joining forces with the nonprofit National Fire Protection Association (NFPA) during Fire Prevention Week, October 4-10, to remind local residents about the importance of having working smoke alarms in every bedroom, outside each sleeping area, and on every level of the home, including the basement. According to the latest NFPA research, working smoke alarms cut the chance of dying in a fire in half. Meanwhile, three out of five fire deaths resulted from fires in homes with no smoke alarms or no working smoke alarms. Interconnect all smoke alarms throughout the home. This way, when one sounds, they all do. Call the fire department from outside the home. 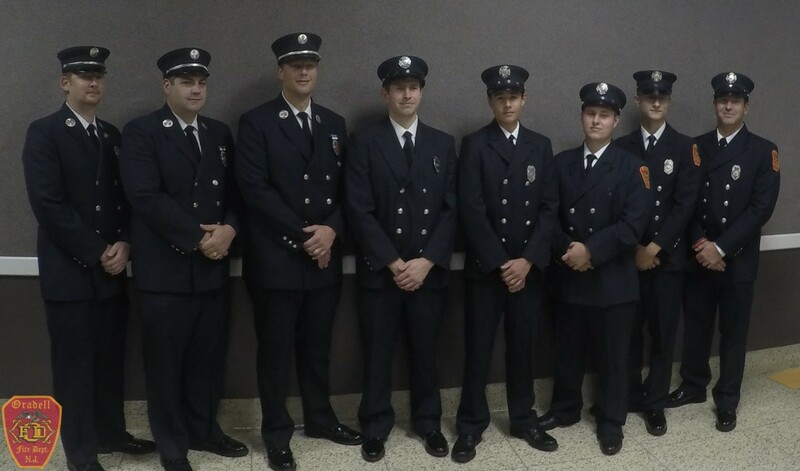 Congratulations to our five members who graduated from the Bergen County Fire Academy Friday night. These volunteers have spent two nights over the last seven months attending training at the academy. Congrats again! Residents of Oradell should shortly receive literature in the mail from the fire department detailing our Annual Fund Drive, which will take place this weekend. Beginning on 11:00 AM on September 27th, A uniformed member of the department will call at your door to request a donation and answer any questions you may have. Oradell Kids Foundation, in partnership with the Oradell Fire Department, will hold their annual 5K Race and 1 Mile Fun Run at 9:00 a.m. on Saturday, October 10th. This USATF-certified and sanctioned event features a fast, flat course and B-Tag timing by Best Racing Systems. T-shirts are guaranteed to pre-registrants. Medals and prizes will be awarded to the top three male and female finishers overall, as well as the top three male and female finishers in five year age groups, ranging from 9 and under to 80-plus. Medals will also be awarded to the top five male and female Oradell resident finishers, top emergency responders, and top three teams. The 5K race will be followed by a one-mile family Fun Run / Walk and a family festival. All children who participate in the Fun Run / Walk will receive a ribbon. Register before October 7th to receive a discounted rate. To view registration fees, download a race application form, or apply online, click here. Happy July 4th from the Oradell Fire Department! 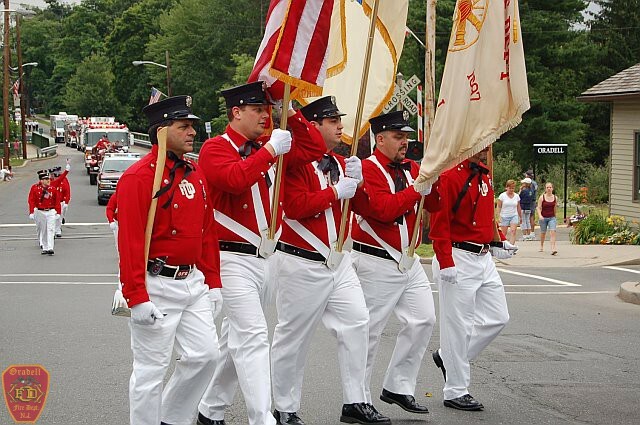 The Fire Department will be marching in this year’s parade, which starts at 9AM on Oradell Avenue by Third Street and then proceeds to Memorial Field. Just a reminder that consumer fireworks are illegal in the State of New Jersey, please leave the fireworks to the professionals. 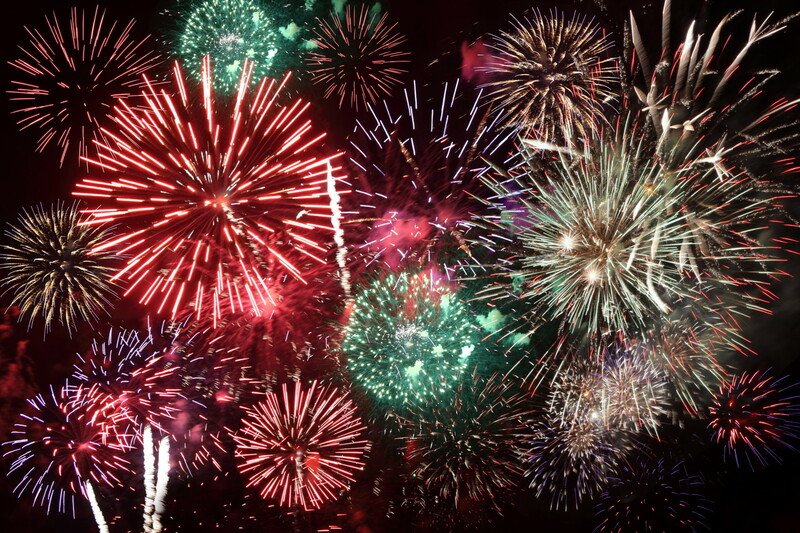 Fireworks were involved in an estimated 10,500 injuries treated in U.S. hospital emergency departments during calendar year 2014. An estimated 7,000 of those fireworks-related injuries were treated between June 20 and July 20.